My biggest challenge today: I sort of coasted today. I had all my food planned, I had an appointment that took me away from the office during a pie and brownie party, and after making this video yesterday, everyone knew not to tempt me. Who: Joanna Linberg, home editorI’m giving up: Alcohol, red meat, refined and natural sugars, caffeineMy biggest challenge today: I sort of coasted today. I had all my food planned, I had an appointment that took me away from the office during a pie and brownie party, and after making this video yesterday, everyone knew not to tempt me.My biggest temptation to cheat: When Thomas from Downton Abbey tried to throw yet another coworker under the bus, I almost grabbed a cookie. 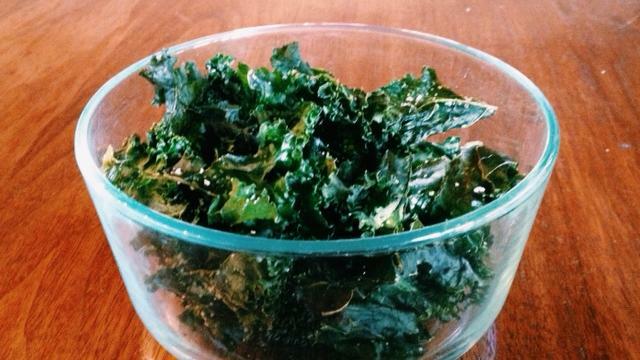 Then I remembered: kale chips! We made a batch earlier in the week and they got me through the episode last night as an honest woman. (Though can we say the same about Edith?) I feel: Upbeat, but tired. Still, I predict success until tomorrow afternoon around 3:30 p.m., when I’ll need some hump day hot chocolate. Can licorice tea hold up to that? We’ll see.